Here at PSM we aim to meet your induvidual requirments by offering a wide range of screen sizes. 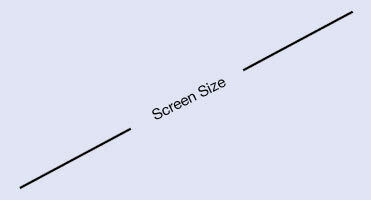 Please use our screen size calculator or our dimensions table for dimensions of your projector screen. The easiest way to determine how large your projector screen should be is to simply project onto your wall and measure up. Using the variable throw angle on your projector, adjust the size of the image until your happy, then measure the width and height of your image. If you havent yet purchased a projector but have one in mind please use Projector Central's helpful throw distance calculator.